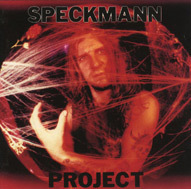 MASTER first made an album with the line-up consisting of Speckmann, Bill Schmidt and Chris Mittleburn, the mix for that recording got turned down by Nuclear Blast head honcho Staiger, Speckmann re-recorded the album with Jim Martinelli and Aaron Nickeas, and again the mix got rejected by the label. Then producer Scott Burns remixed the first recording of “Master” and that was what Nuclear Blast then released. Later on the new recording with Martinelli and Nickeas was released as “Speckmann Project” and that release is now being re-issued by the ressurector of olden Death and Thrash Metal AreaDeath Productions. More Death Metal history released for the sake of the hungry masses or a mean for a quick buck? Considering how many old school Death Metal maniacs there is around, I don’t think there is a quick buck to be found within the genre, only die hards will pick this up, to celebrate what once were, as such as this isn’t being made anymore, at least not up to these standards.